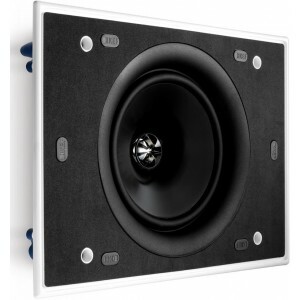 KEF Ci160QL is a custom install speaker in a rectangular shape, combining an ultra-thin bezel design with high-performance Uni-Q driver - sounds great and is relatively easy to install. 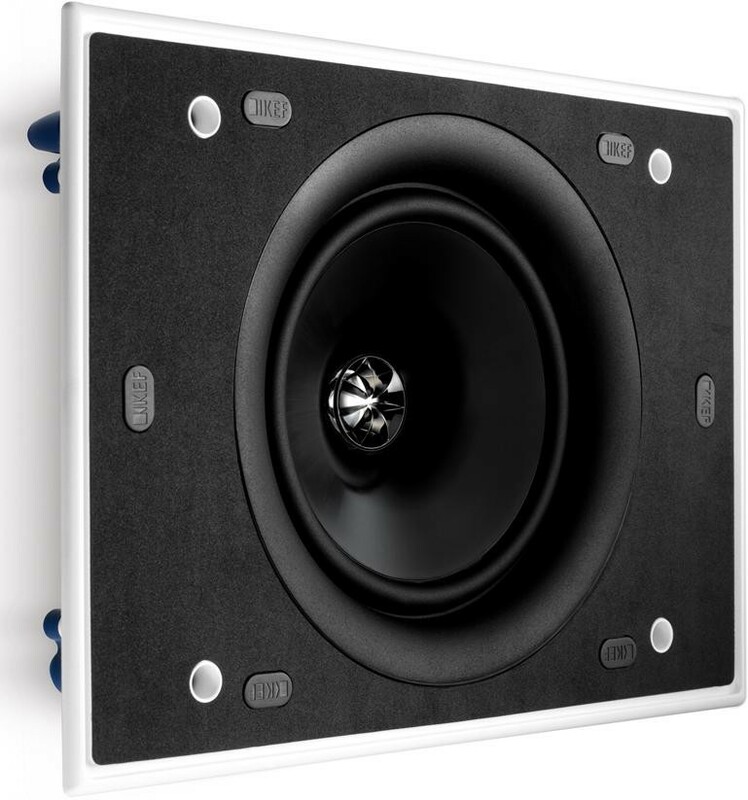 KEF’s search for the definitive discreet Ci speaker has culminated in the new Ultra Thin Bezel designs, offering the slimmest possible visible rim around the speaker. The new, computer optimised trim ring offers stunning midrange clarity and a more open and natural sound across a wider area. 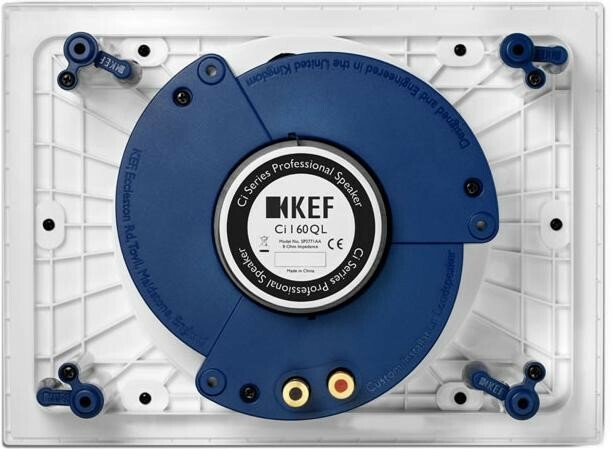 KEF’s patented ’sit anywhere’ Uni-Q driver array places the tweeter in the acoustic centre of the bass/midrange cone (woofer).This allows both woofer and tweeter to act as a single, focused source of sound that is dispersed widely and evenly throughout the room.The practical benefit is that great sound can be experienced from anywhere in the listening environment removing the ‘sweet spot’ effect. 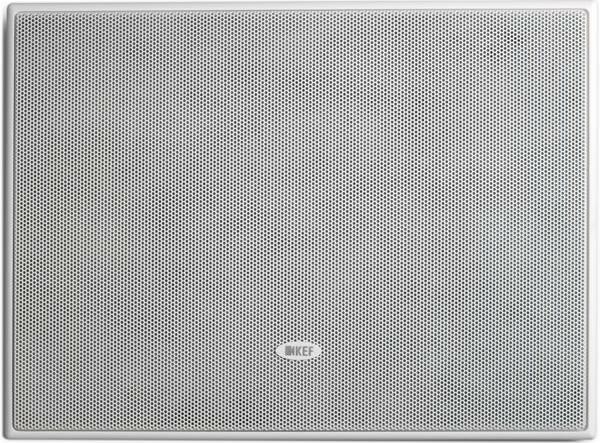 Ci UTB speakers feature a powder-coated grille treated with a proprietary process, which combined with the moisture-resistant fixings and other rugged materials we use, makes the speaker corrosion resistant so it’s ideal for use in humid and salt spray conditions, such as bathrooms, near pools and beside the ocean. Complete Magnetic Circuit is designed to hold the speaker grille firmly in place. The new mounting leg is easy to use and distributes force evenly, benefiting fast installation without damage to the wall or ceiling. Bayonet shaped PCB protects the crossover and increases stability even in uneven ceiling. Gold Spring Terminals accepts up to12-guage wire. Low signal loss and easy, one-handed installation.